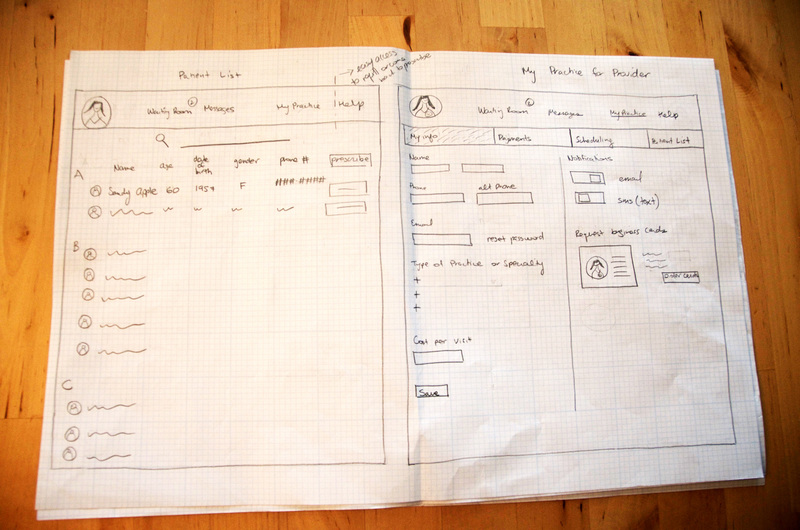 I was the end-to-end designer and researcher on this project. What’s keeping people from choosing telemedicine as a care option? 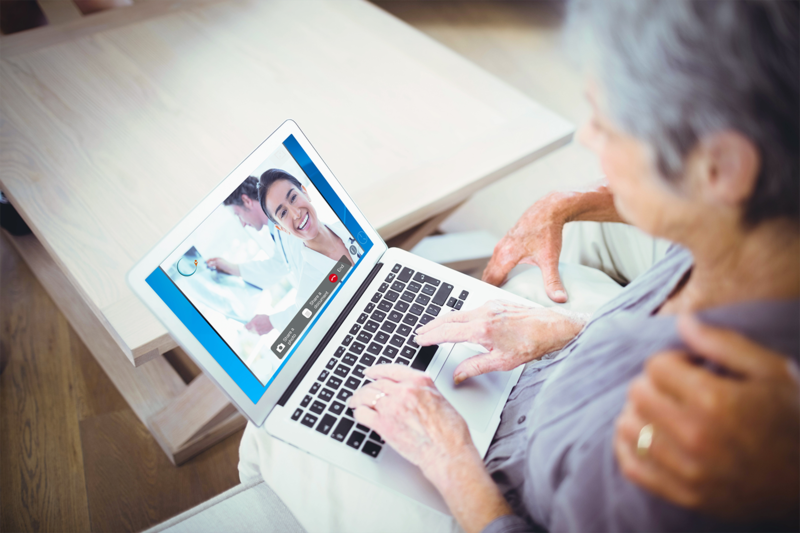 What patient populations could telemedicine nudge toward regular use? 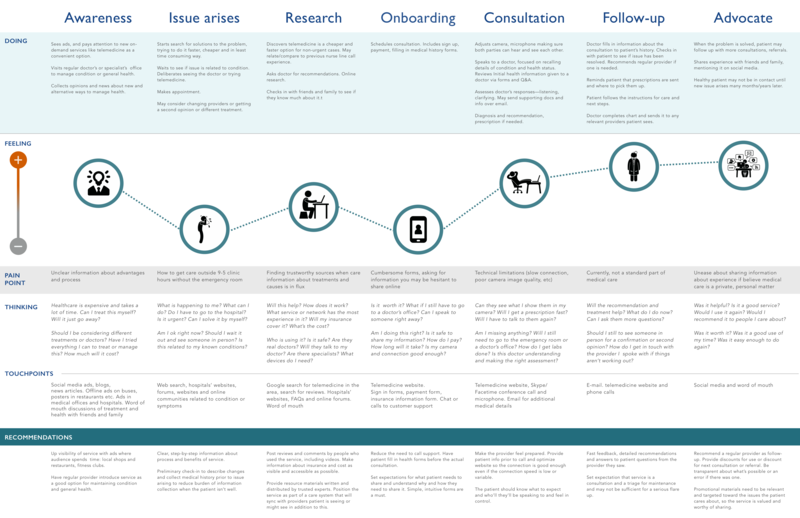 What’s the ideal patient journey? 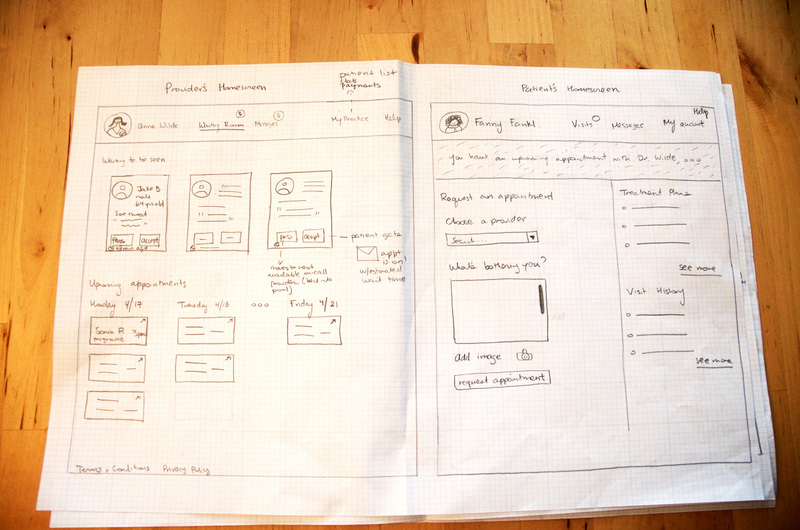 What’s the experience blueprint for communication, onboarding and care? Due to limitations of access to a rural audience, I chose to focus on young people setting up their own healthcare and patients with chronic diseases. The approach was to create an ideal journey for both, and from there create a unified experience accommodating both populations. 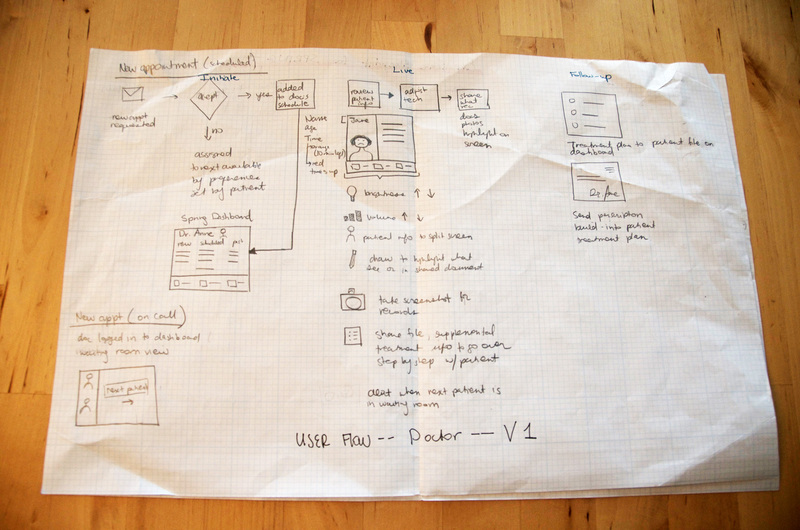 Defining the user journey for young adults navigating health care options. 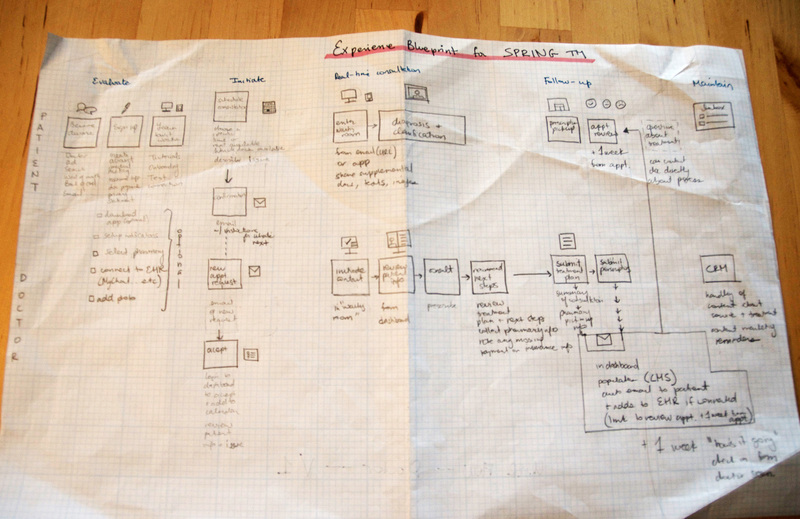 Defining the user journey for older adults managing a chronic condition. 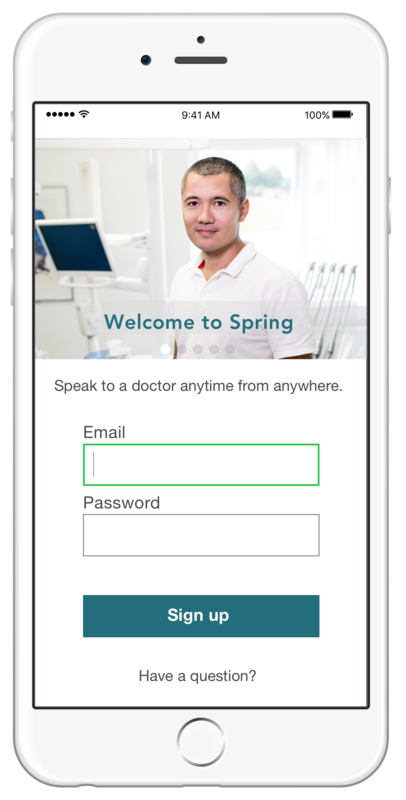 Spring Telemedicine succeeds when it can offer faster, reliable access to an expert provider. 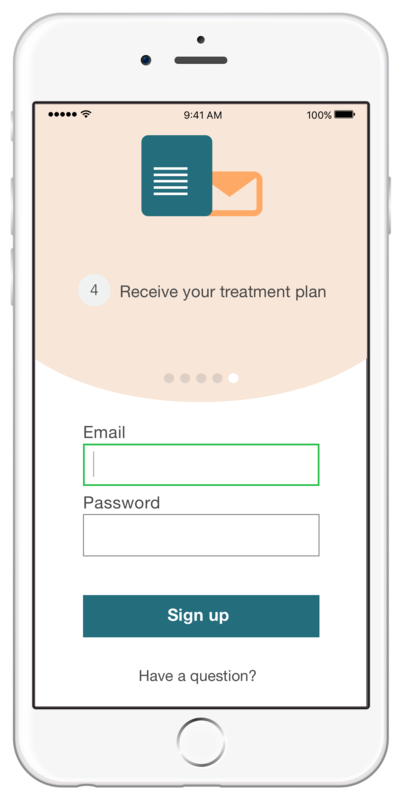 The goal is to help patients receive more lasting and relationship-based care founded on the trust and history necessary to accurately diagnose and maintain health. It was fun to think through the needs of these different audiences and to translate them into features of a unified system. 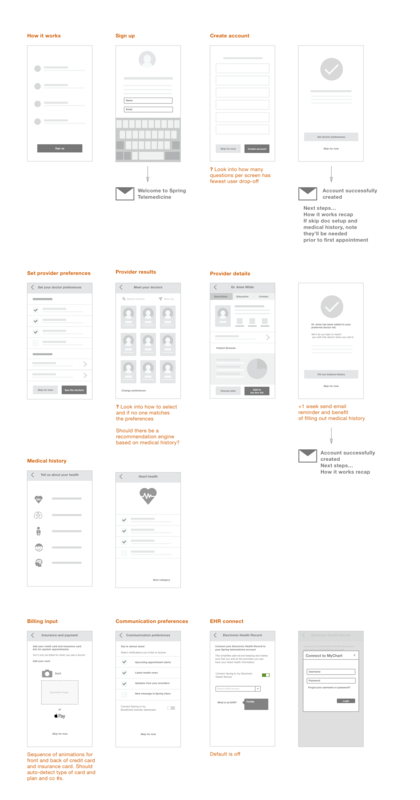 After an initial set of sketches and brainstorming, I came up with 5 key areas (onboarding, patient account area, provider selection and the video screen experience) to solve for—guided by an experience blueprint for navigation and user journeys. 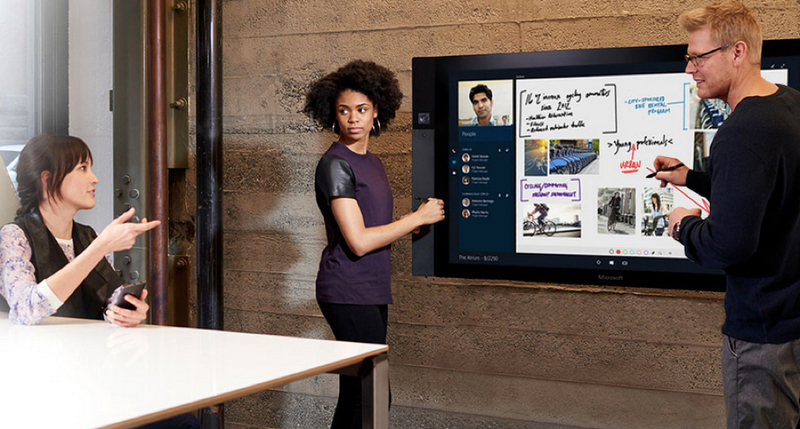 New services don't often get a second chance to make a good first impression. Helping people understand how the service works is crucial and deserved extra attention. 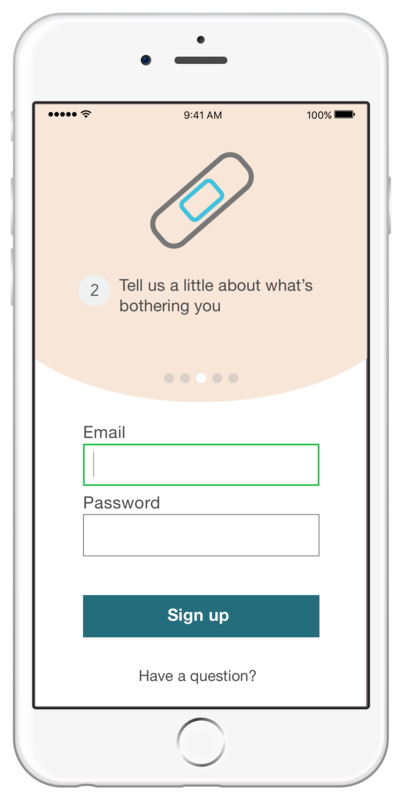 My user research indicated it would be critical to articulate the benefit of the service versus an in-person visit, and to be transparent about why sharing personal and medical information was necessary for sign-up. The design had to account for accessibility for older adults. 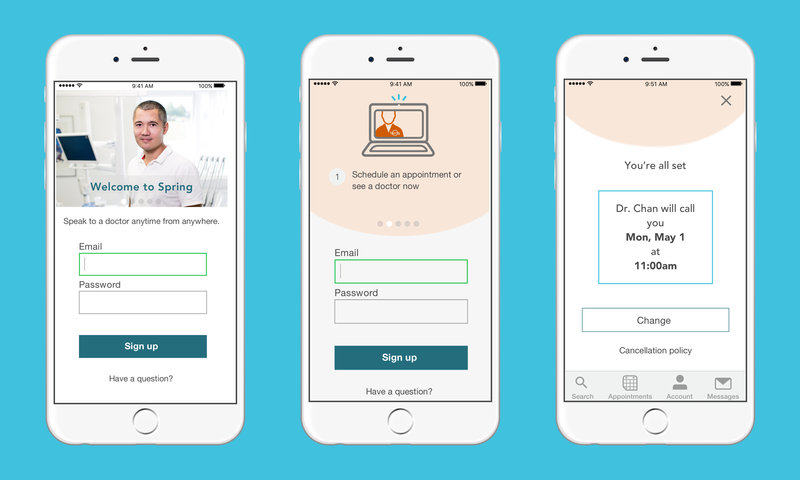 My initial flow proved cumbersome for users who wanted to quickly schedule an appointment. 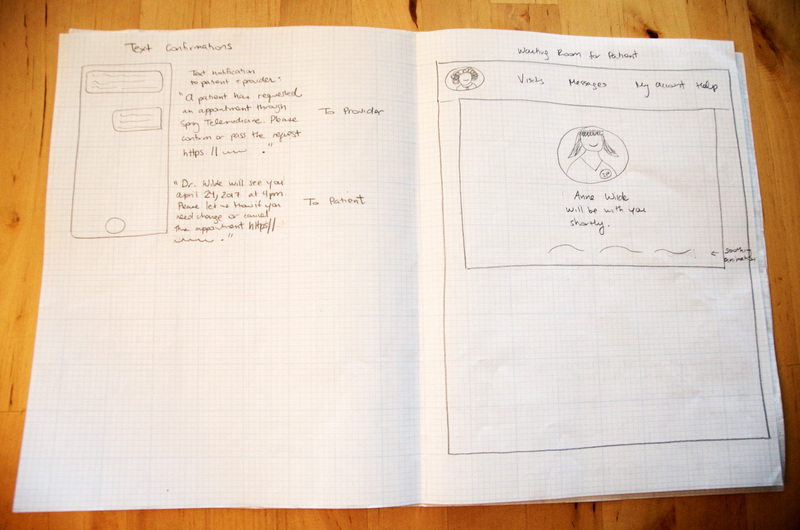 While it was fewer screens than my final solution, it was more of a cognitive load. 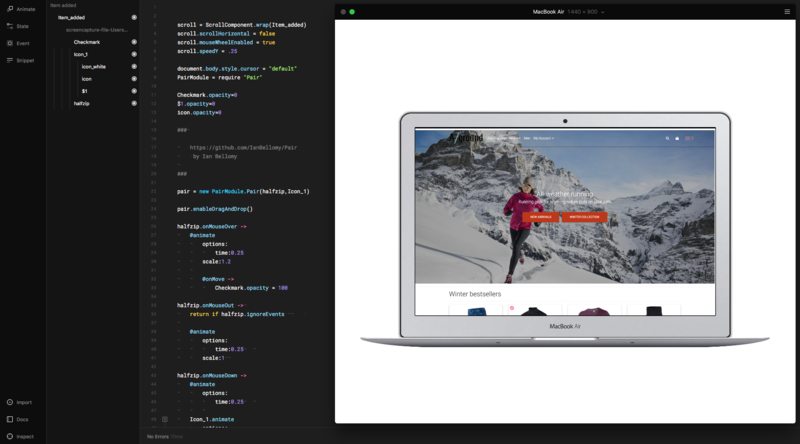 I decided to split up the how-to steps into separate images in an advancing carousel that went through how-to steps in the upper portion of the screen. 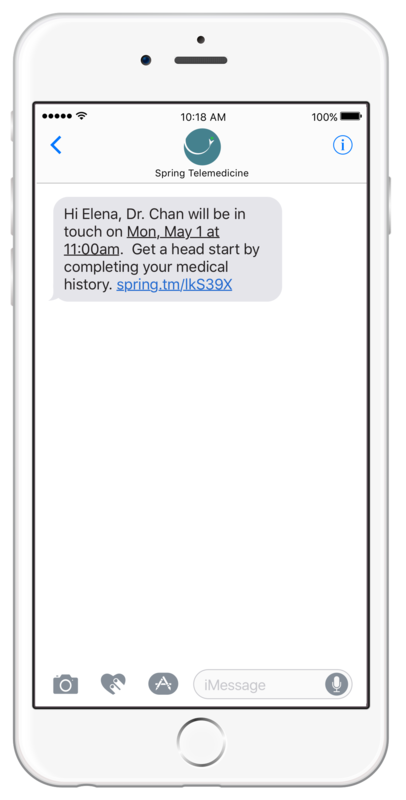 I removed forms required to schedule an appointment, opting to collect missing information through a follow-up email and in-app messages. 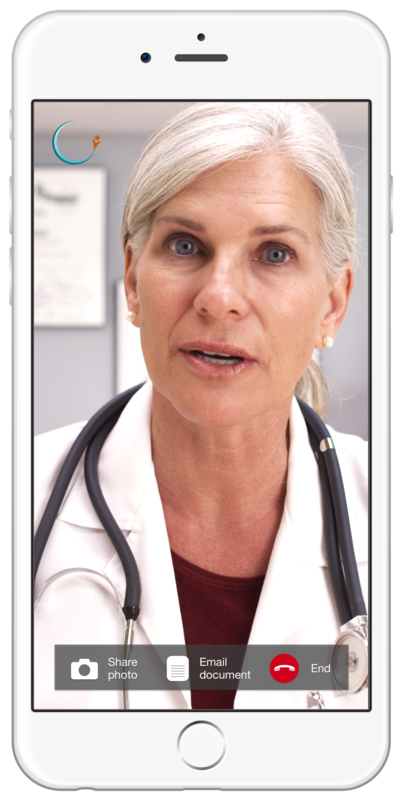 Users also needed to be told about conditions telemedicine alone can't accommodate—those that require cultures, blood work and physical exams in-person at a clinic to set expectations. I also heard from test users about the ambiguity of who is responsible for initiating the appointment. 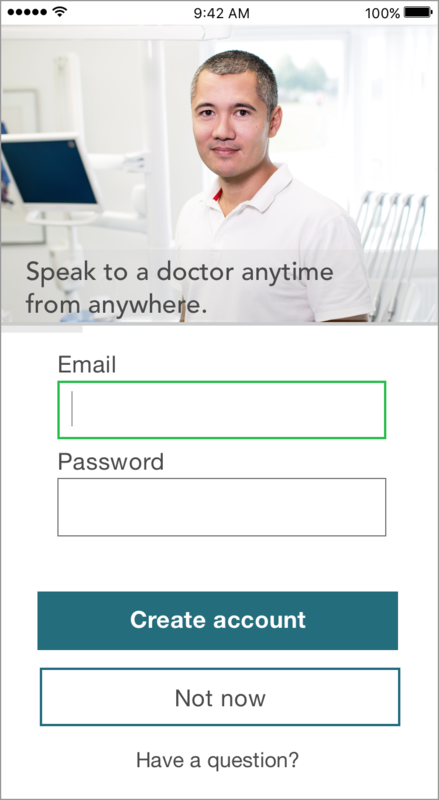 Users preferred the doctor start the appointment with a direct video call. Initially I considered a waiting room area, but a direct call by the doctor was simpler. I applied this feedback by removing unnecessary interactions and adjusted the language to set that expectation. 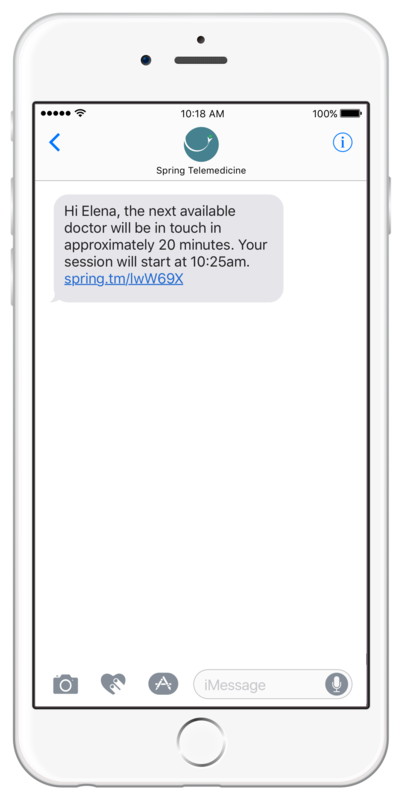 For follow-up communication and confirmations, users preferred text and email over in-app messages. They admitted to ignoring app notifications or outright turning them off. 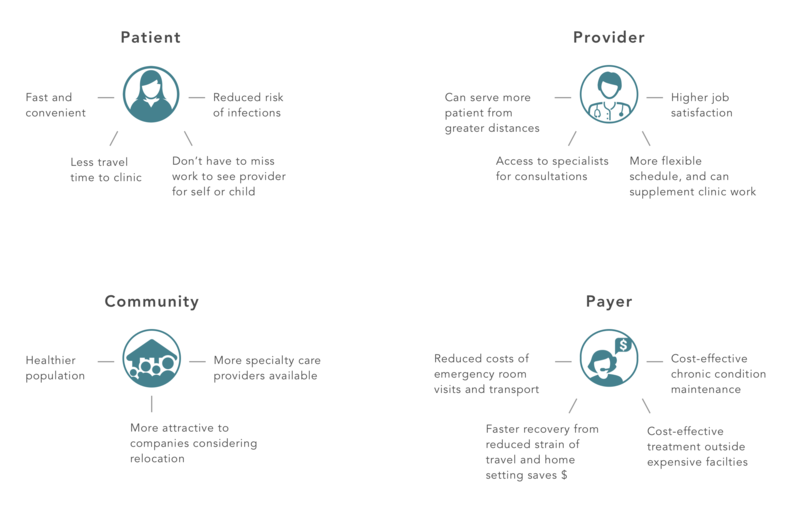 I created an experience agnostic to whether the care aligns to urgent care, primary care or specialist care. 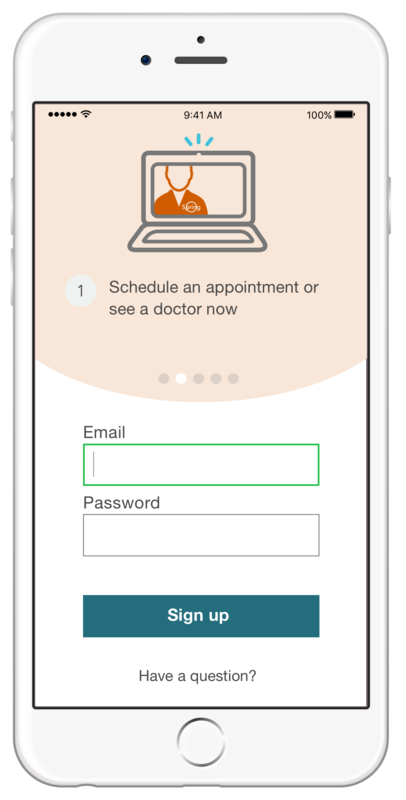 Today the dominant use case is for urgent care. More thought and experimentation needs to go into accounting for the differences of these types of appointments. 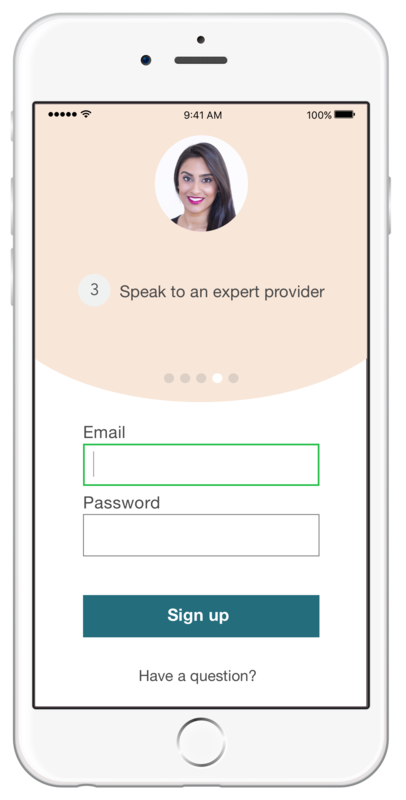 Insights from a primary care doctor who currently works virtually for a telemedicine company pointed to the crucial role of patient expectations. The lack of testing: cultures, bloodwork and others, limits a virtually-based diagnosis and requires patients to go into a clinic or hospital. Setting the expectation of these limitations has to be included in the service sign-up and apointment-booking user tasks. A doctor is not just a fixer, but an educator. A lot of what happens during these calls, much like during an in-personal appointment, is the doctor empowering patients to understand their bodies and health better. That is where the virtual model has great potential to leverage AI, voice and chat solutions.